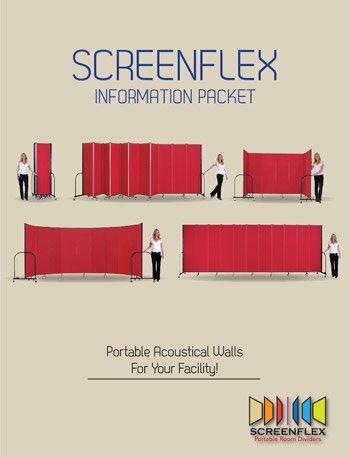 Six Sizes: 22" by 42", 54", 66", 74", 82", 90"
Two Depths: ¾" and 1½"
Screenflex Acoustical Wall Panels are perfect for use in hallways, gymnasiums, auditoriums or offices. 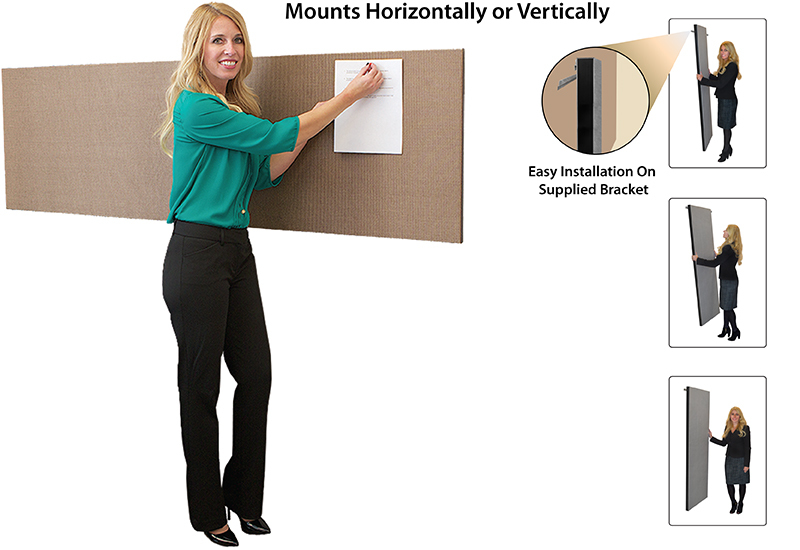 Mount these functional yet attractive wall panels anywhere sound deadening is desired or when you need a great tackable display surface. 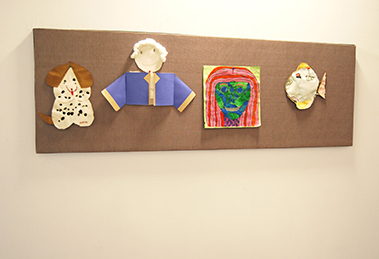 “ Our acoustical wall panels work great at dampening the sound in our hallways! 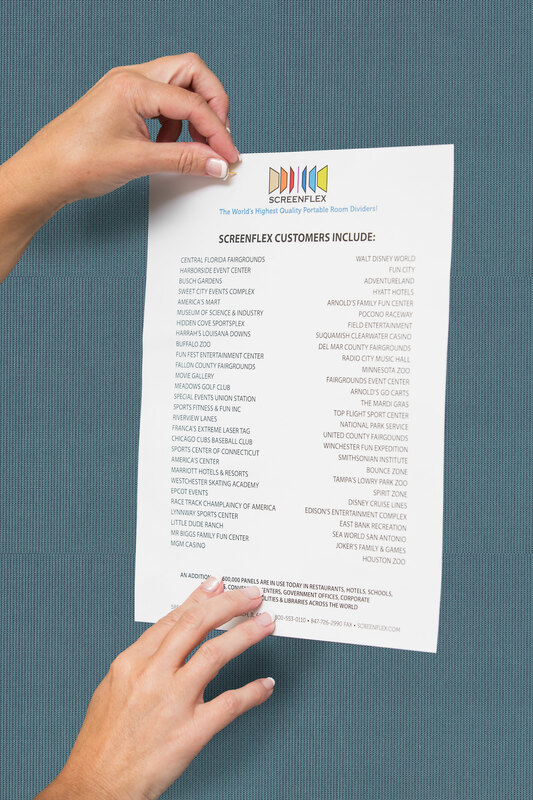 I appreciate all your help in measuring, placement, and ordering. Thanks for your attention to detail. swatches of any colors you would like to see. Hallways, cafeteria, and other open areas are prone to increased sound levels. Adding Screenflex Acoustic wall panels can greatly improve the acoustics in these common areas by deadening and dampening ambient noise resulting in an improved learning environment. 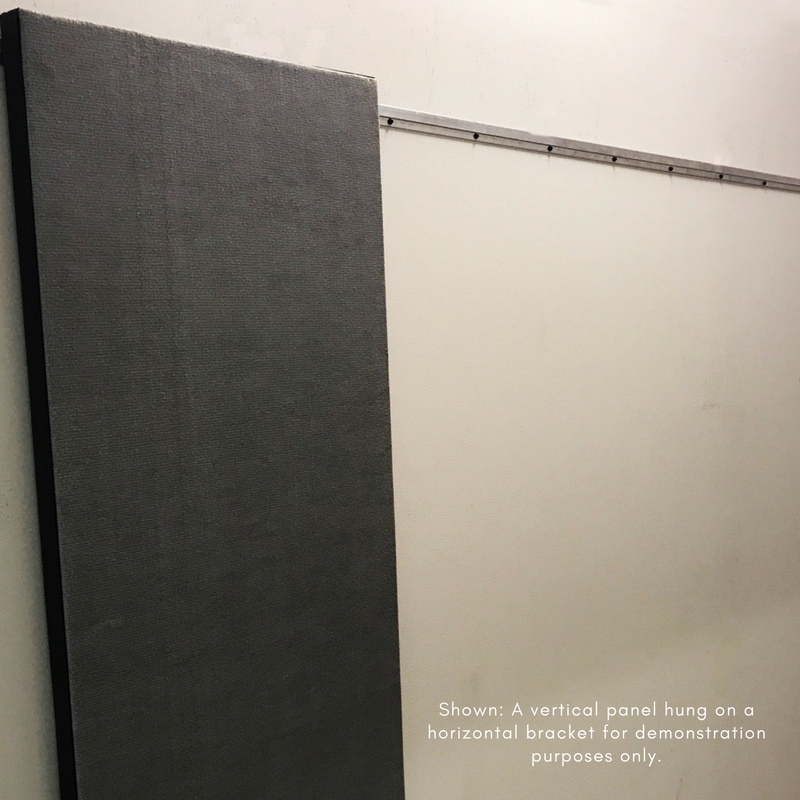 Available in 30 fabric colors, you are sure to find these durable and tackable acoustical panels not only absorb sound but increase the design element of any space. 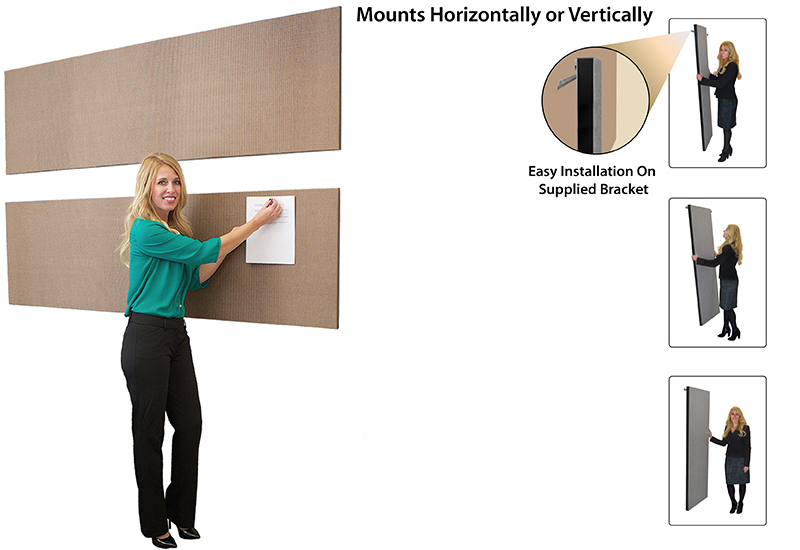 Choose Screenflex acoustic wall panels are available in two depths, 3/4″ and 1 1/2″ to help you achieve varying sound dampening goals. 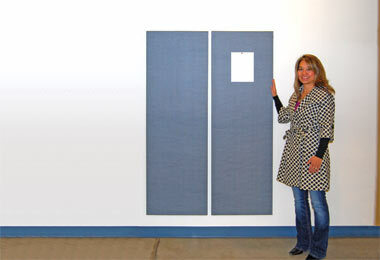 When ordering your acoustic wall panels, please specify if you would like a vertical or horizontal hanging panel. 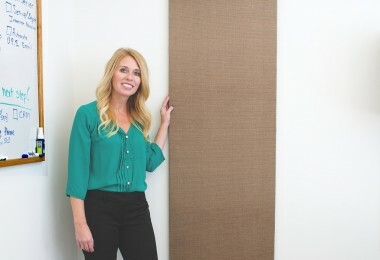 The Screenflex acoustic panels are made from a closed cell honeycomb core that is specifically designed to trap sound waves that improve acoustics in the classroom, libraries, hallways, and computer labs. 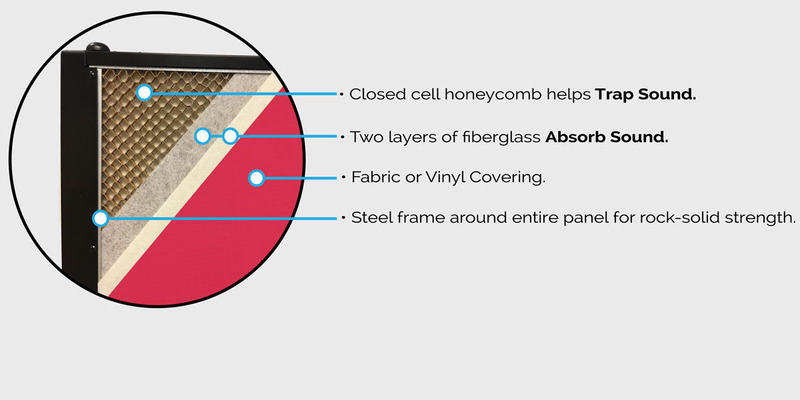 This cardboard core is then covered with two layers of sound absorbing insulation and finished with a durable fabric. This unique combination of sound dampening materials will significantly improve the style and noise level within your school.